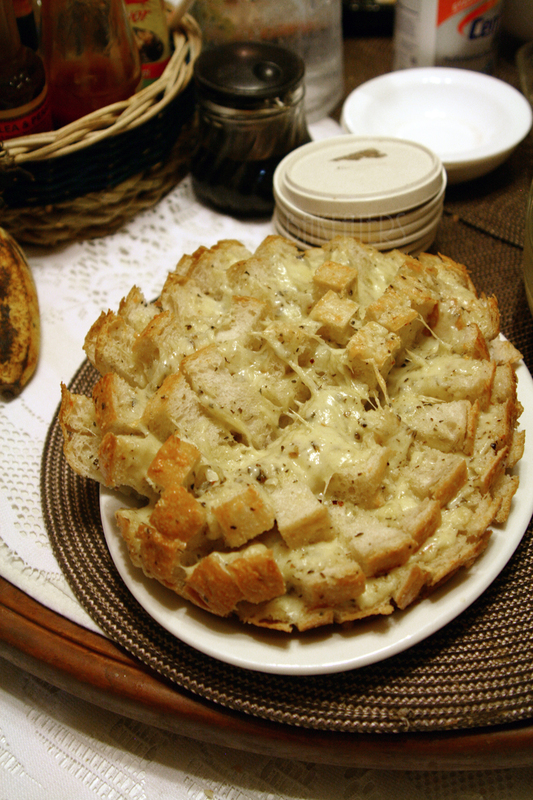 Cut up the bread like so (like a blooming effect), and stuff in the cheese, herbs, spices, etc. Put it in the oven for 30 minutes at 350ºF. Voila! The bread that my sister used is store-bought, but you can always make your own. My sister’s not satisfied with what she baked. The parchment stuck to the bottom of the pretzels. Nonetheless, it came out really soft and scrumptious. 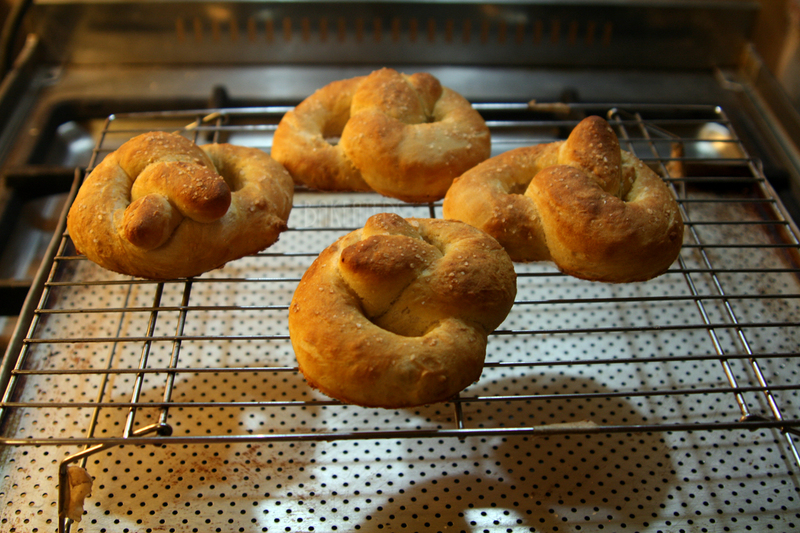 I really love pretzels and I’m glad my sister decided to finally bake some. 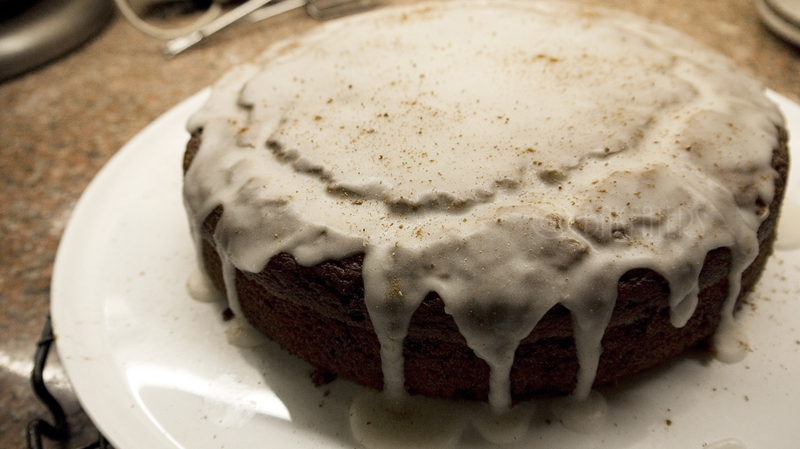 My sister used a standard spice cake recipe from one the cookbooks, and modified it a bit to make it vegan. She has baked vegan versions of chocolate orange cake (one of my favorites), and banana spice cake too. 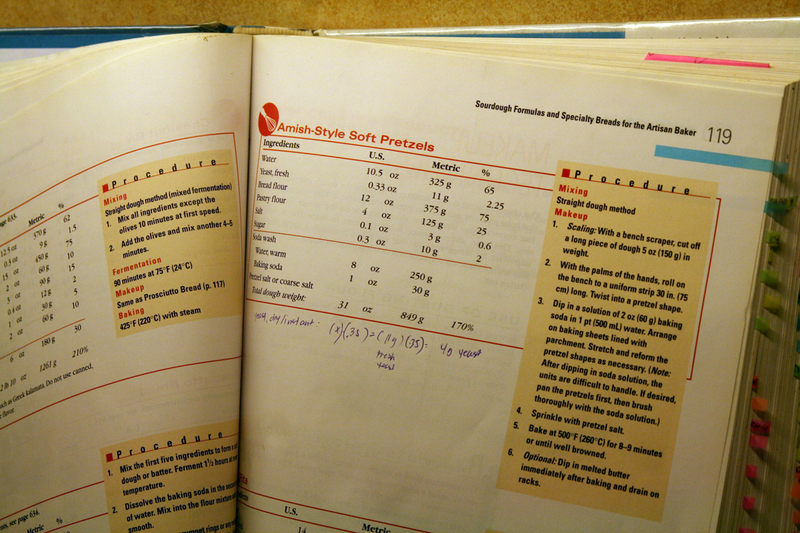 Being vegan is abstaining from using animal products such as eggs and butter. So yes, there are no dairy products in the spice cake. 1. Sift together all dry ingredients in a large bowl. Make a well in the middle. 3. Pour wet ingredients into the well of dry ingredients. 4. Carefully whisk together until combined and there are no more lumps. It is a very wet batter. 6. After 45 minutes, cover pan with aluminum foil and bake for 15 minutes more. I use Silpat. 7. Check with a wooden skewer (after 60 minutes) and only a few moist crumbs should be left. 8. Cool completely in the pan, but make sure the pan is on a high cooling rack. 9. Make glaze: simply whisk together all inredients, then pour evenly over the cooled cake. 10. Sprinkle with a little cinnamon or nutmeg if desired.